Two of the biggest stars of Indian cinema who command massive fan following have released their movies on January 10. 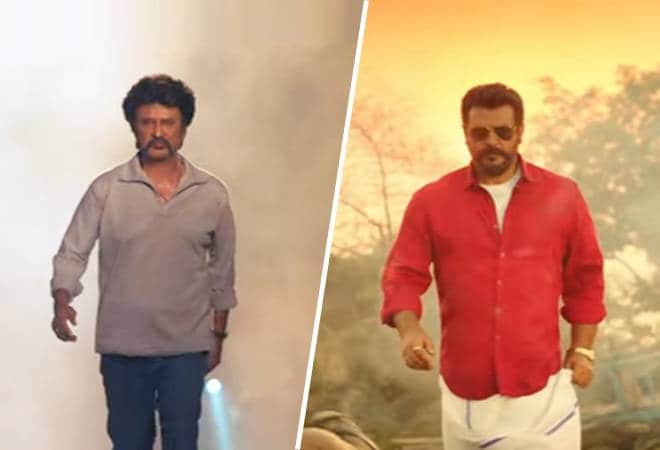 Rajinikanth's Petta is facing Ajith's Viswasam. In a face-off that has got all the fans excited, only one film can emerge the winner at the box office. It is a rather exciting time for all Indian movie lovers who witnessed such a clash in Kollywood in 2014 when Vijay's Jilla and Ajith's Veeram clashed at the box office. To begin with, the box office victory depends a lot on the screen count. When it comes to sheer number, Ajith's Viswasam is ahead of Petta as it had decided the release date few months ago allowing the makers to capture most of the single screen theatres. According to trade analyst Ramesh Bala, when it comes to the 3 Cs - Chennai, Chengalpattu and Coimbatore - Petta is at an advantage, as mentioned to India Today. Additionally, Rajinikanth was seen twice in two big releases last year - Kaala and 2.0, while Ajith was seen around a year and a half ago in the 2017 movie, Vivegam. Hence, it is expected that Ajith's fans would flock to the theatres to watch his latest movie. However, the real verdict would be reached upon when the neutral fans decide to favour one movie over the other. This can only happen with good content and positive word of mouth. An early lead is also not indicative of a movie's performance as witnessed in multiple cases in the past. Whichever movie maintains pace and outruns the other is likely to emerge victorious. There is also the possibility of audience getting equally divided if content of both the films are below par. In that case, fans of Rajinikanth's brand of films will rush to watch his, while those seeking for family entertainment will favour Ajith's.